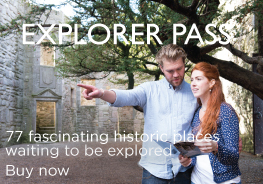 All visits must be booked in advance to guarantee entry, this includes Historic Scotland Members, Explorer Pass holders and reciprocal members. English Heritage, Cadw, Manx Members tour reservation. Year 1 members please pay on arrival.